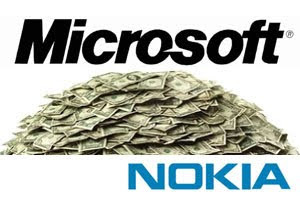 Earlier today BGR reported that Microsoft is buying Nokia’s mobile business for around $19 billion. While I usually don’t listen to hear-say and rumors, I think this deal is very likely to happen taking into consideration that Microsoft had picked up Skype for $8 billion earlier and $19 billion for Nokia will surely seem like a bargain. It would make a lot of sense strategically to add Skype to the largest manufacturer of smartphones in the world. Nokia will surely be a good fit for Microsoft as they have been playing behind the scene for years and perhaps this would be the best way for them to get in front of the game. And owning Nokia will allow Microsoft to embed Windows OS on all their future devices instead of begging the other device manufacturers to embed them. While its a great fit for Microsoft, i m not too sure whether the deal will pan out positively at the end as its going to take a lot of pursuasion to Nokia shareholders to give up their crown jewel mobile business. Even if the shareholders were to agree, its going to be fascinating to see whether other bodies like the US government, Finnish government, and the internal staff of Nokia will give the support and approval. Good luck to Microsoft and Nokia and as for us, lets enjoy the show. Microsoft previewed the next major release of Windows Phone, code named ‘Mango’. This new release brings numerous improvements to the software platform and developer tools. Click link for details. The beta releases of the Windows Phone Developer Tools that support Mango are now available for download. Developers can use this beta release to get ready for the upcoming Windows Phone OS release. The new application platform capabilities coming in Mango deliver the top features.